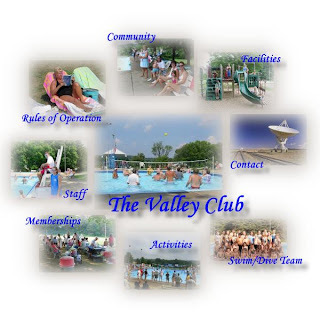 I came across this news item about a group of black summer camp kids who were barred from a Philadelphia swimming pool because its owners and upscale white clientele were "concerned that the [campers] might change the atmosphere and complexion of our club", according to Valley Swim Club President John Duesler. THe sixty black children, all part of North Philadelphia's Creative Steps Day Camp arrived at the pool in accordance with the $1900 fee the camp paid Valley Swim Club for the use of the pool. Although the club is privately owned and operated, its membership page does not specify any restrictions on who may join. The day camp had satisfied the club's requirements and paid its fees in full. But when the grade-school-age kids arrived at the pool for the first time, chaos ensued. According to numerous witnesses, all of the Caucasian children (the only ones in the pool when the campers arrived) immediately got out of the water. The staff at the pool admonished the camp couselors that "minorities weren't permitted at the pool, and [the black children] needed to leave immediately." Through my tears of fury as I read accounts of this disgusting episode, I was reminded of the 1960s amusement park, Fun Town, which was cited by Rev. Martin Luther King, Jr. in his 1964 speech. It's the park his kids always wanted to go to, but couldn't, as it did not admit blacks, per the Jim Crow laws of the era. Well! Here we are in 2009, and Jim is still alive and kicking. Not only that, but the operators of the Valley Swim Club seem perfectly comfortable in keeping Jim Crow alive, and tormenting children who will bear the memory and pain of this episode for the rest of their lives. How dare they? This is a crime against the very concept of humanity. "Why", said the bigots who run (and patronize) the Valley Swim Club, "should we have to show the slightest degree of decency or adult behavior?" They took the further step of carefully teaching their own kids how to hate. Certainly people who can afford memberships to such an exclusive swim club, are of sufficient education and intelligence to have some grasp of history. In choosing to repeat some of the darkest chapters of the twentieth century here in the twenty-first, they've raised ignorance and bigotry to new levels. I'll bet they drained the pool after the black kids left, too, and changed the water out. Sickening. The members and owners of the Valley Swim Club should forever hang their heads in shame for their behavior. I feel your anger at this situation. It's truly sickening. In this 21st century, with a man of color in the White House, JIm Crowesque behavior is running rampant, and not in the SOuth, but in Philidelphia no less. Ugh! It's a shame man.